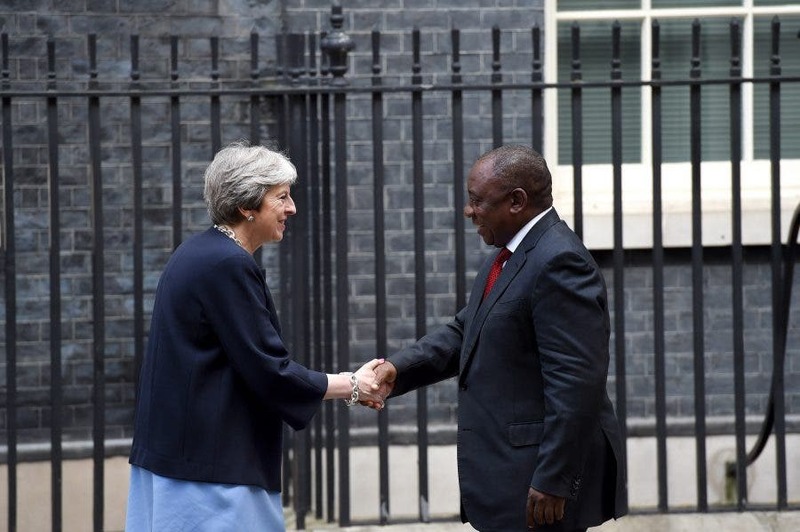 At a Bilateral Meeting between President Rampahosa and British Prime Minister Theresa May yesterday she pledged £50-million over the next four years, and said the UK is ready to support South Africa’s transformation. 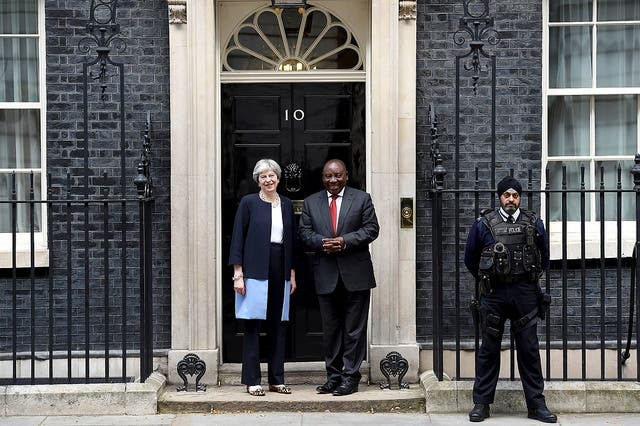 A Downing Street spokesperson said the British PM described the relationship between the UK and South Africa as “strong and deep, both bilaterally and as a key Commonwealth partner”. 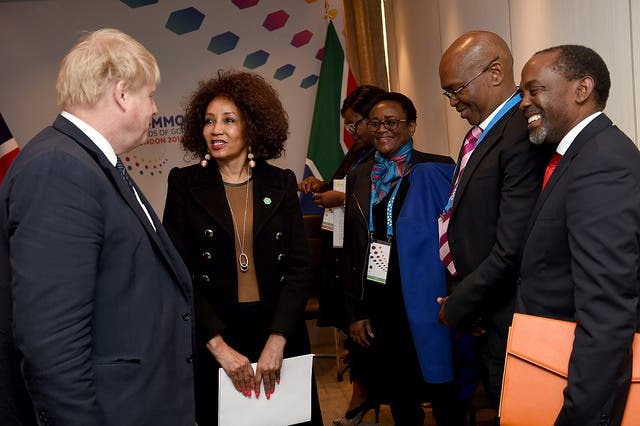 The spokesperson said the two leaders discussed the potential for reinvigorating and revitalising the partnership between the UK and South Africa, and the Prime Minister noted that the UK stood ready to support South Africa’s transformation and national development plan. They agreed that tackling youth unemployment and social inequality was a key priority. 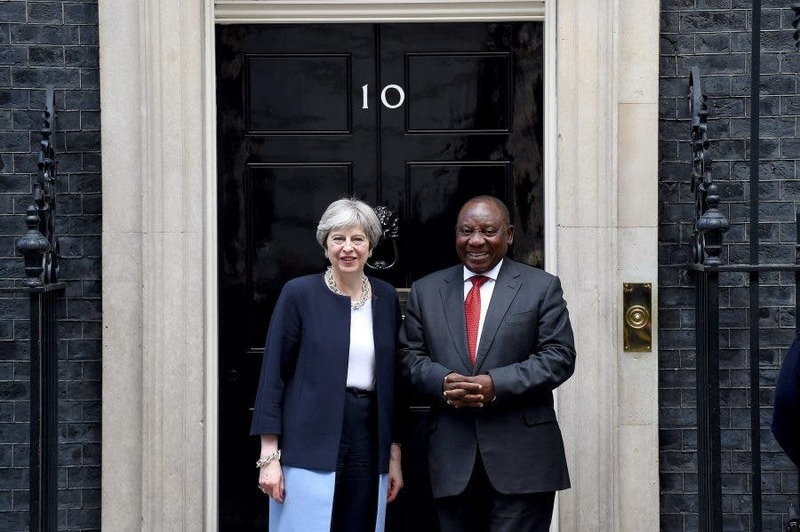 Ramaphosa and May agreed an ambition to build on the countries’ strong bilateral trade and investment relationship, including as the UK leaves the European Union. The Prime Minister noted that the UK is already the largest investor in South Africa, and that the UK are firm supporters of the President’s drive to attract even more investment to the country, said the Downing Street spokesperson. 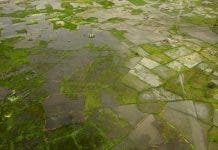 They agreed £50 million new UK funding across the next four years to help South Africa improve its business environment to make it more attractive to investors including in the UK, and ultimately lift some of the poorest people in South Africa out of poverty by creating jobs and opportunities. The funding will be used to help identify and dismantle barriers to trade within Africa and beyond, which in turn will create a wealth of opportunities for UK business over the coming years. President Ramaphosa is based in London this week where he is using his attendance at the Commonwealth Heads of Government Meeting (CHOGM 2018) to lobby for South Africa as an investment destination. The Heads of the 53 Commonwealth nations are gathered together in London for the first time in 20 years, which is convenient for Brexit Britain as it searches for new trading partners; but also benefits countries like SA on the hunt for investment. “For South Africa, the CHOGM 2018 (which will take place from 19 – 20 April) is an opportunity for the marketing and promotion of South Africa as an investment destination. President Ramaphosa will utilize the opportunity to engage with major investors and business leaders based in the United Kingdom. “The President will thus extend an invitation to leading investors and leaders of business to attend the Investment Summit scheduled for later this year,” said the Presidency in a statement. The President left for the CHOGM on Monday evening after a media briefing where he announced the appointment of his Special Envoys for Investment who will “hunt down” potential investors for the country. The Special Envoys on Investment is made up of finance heavyweights such as former Finance Minister Trevor Manuel, former Finance Deputy Minister Mcebisi Jonas, Executive Chairperson of Afropulse Group Phumzile Langeni and Chairman of Liberty Group and former CEO of Standard Bank Jacko Maree. In addition, the President appointed Trudi Makhaya as his economic adviser. Under the theme “Towards a Common Future” the meeting of Heads of Government segment will be preceded by a Pre-CHOGM Foreign Affairs Ministers’ Meeting on 17th and 18th April 2018. Advancing the Commonwealth’s shared values and democracy, good governance and inclusivity as set out in the Commonwealth Charter. The Commonwealth consists of 53 members, including: 19 African members, 7 Asian members, 13 members from the Caribbean and the Americas, 3 members from Europe and 11 members from the Pacific and meets every two years to discuss issues affecting both the Commonwealth members and the international community in general. The Heads of Government will, at the conclusion of the meeting on Friday, 20 April 2018, adopt an Outcome Document which covers a wide range of issues which will serve as a Programme of Action for the organisation in the next two years. While in London, President Ramaphosa has paid a courtesy call to Her Majesty the Queen, held the bilateral meeting with Prime Minister Theresa May yesterday, and is delivering keynote addresses at the Commonwealth Business Forum banquets, attending CHOGM opening and closing sessions and participating in a number of executive and retreat sessions. President Ramaphosa and the South Africa delegation will also utilize the opportunity of the meeting of Heads of Government to continue to lobby for South Africa’s candidature to the UN Security Council for the term 2019 – 2020 with the elections to be held on the 8th of June in New York. According to the Presidency, the South African delegation will continue to promote the centenary year of the birth of President Nelson Mandela. President Cyril Ramaphosa will return to South Africa on Friday, 20th April 2018. 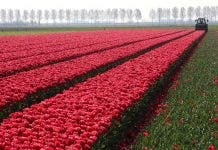 Next articleWATCH Lesotho Wine Farmers’ Unique Gift for Prince Harry & Meghan Markle. Boom!